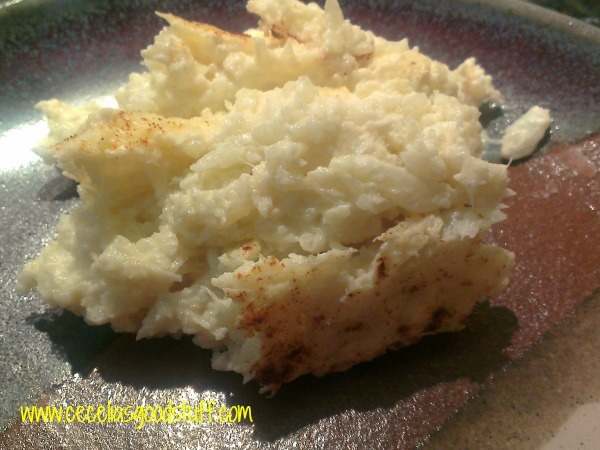 Mashed Cauliflower with fresh ginger and garlic a delicious side dish. This scrumptious Lentil & Vegetable Soup will hit the spot on a cool fall day. I love soups and actually make this recipe all year. My children love a bowl of homemade soup for dinner; and served with a nice side salad it really is a healthly light dinner option. I have all sorts of ways I like to make lentil soup but a this is my favorite, large chunks of carrots, sweet corn, sweet peas, green beans and some spinach. This is a quick and easy dinner option. It is great served with a nice loaf of crusty bread. YUM! Directions: Place butter in pot, sauté your onion and celery until tender. Add your carrots and water and bring to a medium boil. Add rinsed lentils, green beans, spinach, peas, corn and all seasonings. Turn soup up to medium high heat and cook about 30-35 minutes or until lentils are tender. Serve immediately. Cecelia this soup was yummy and my family loved it!